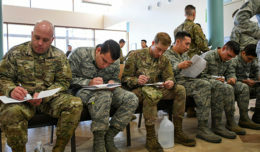 U.S. Air Force Staff Sgt. 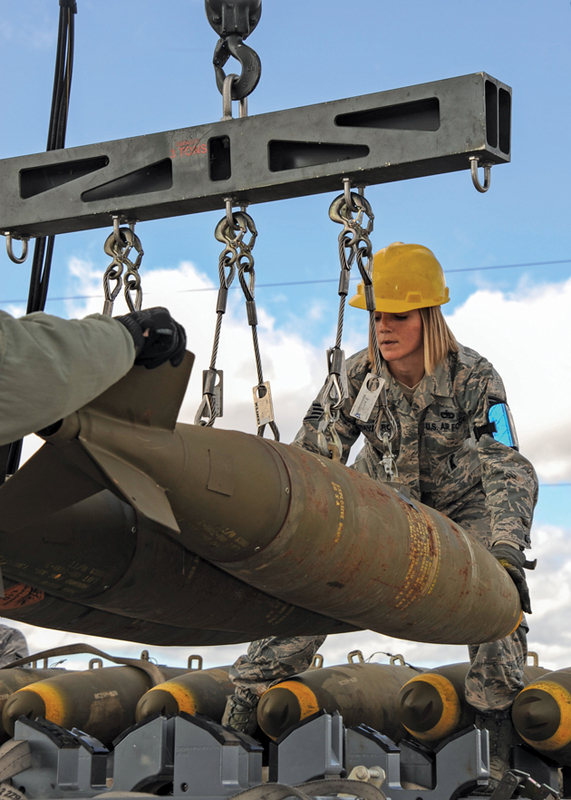 Nicole Navarro, 355th Equipment Maintenance Squadron munitions flight conventional maintenance crew chief, offloads bombs from the munitions assembly conveyer at Davis-Monthan Air Force Base, Ariz., Jan. 8, 2016. The munitions crew built a total of 36 bombs: six Mark 84s and 30 Mark 82s. 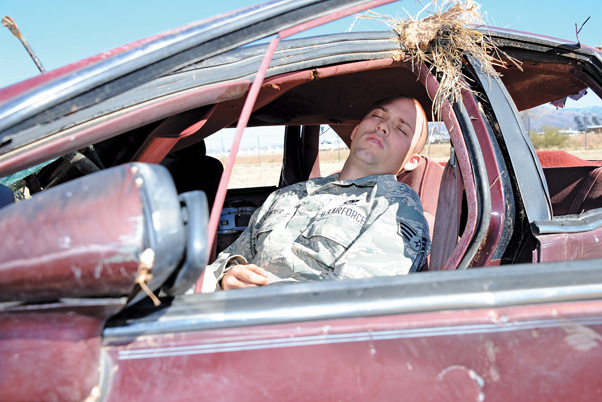 U.S. Air Force Senior Airman Kyle Tucker, 355th Logistics Readiness Squadron vehicle operator, simulates an injured Airman in a vehicle rollover during Cactus Flag: a large force employment exercise at Davis-Monthan Air Force Base, Ariz., Jan. 12, 2016. 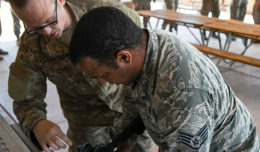 One of the purposes of the exercise is to assess the 355th Fighter Wing’s ability to support, conduct combat operations, and integrate tactically in a Large Force Employment. 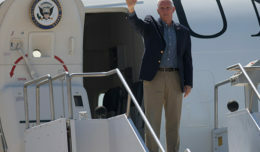 U.S. Air Force Capt. Ryan Grossman, 41st Electronic Combat Squadron electronic warfare officer, swims under a parachute canopy during Survival, Evasion, Resistance, Escape training refresher at Davis-Monthan Air Force Base, Ariz., Jan. 6, 2016. 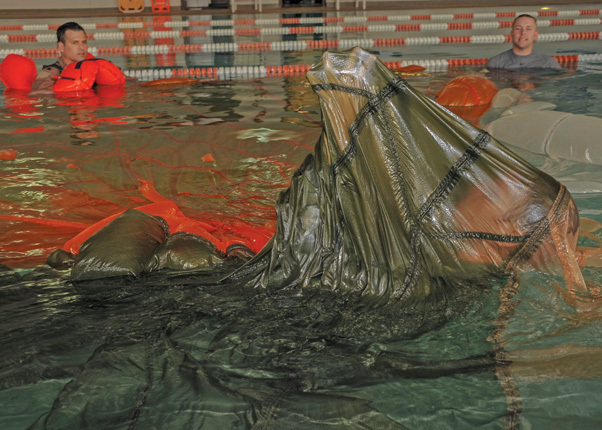 The parachute canopy fabric is permeable which allows the trainees to breath if it is pulled away from the face.